Málaga, situated on the sun-kissed Costa del Sol in Andalucia, southern Spain would hardly seem like a venue for urban birding. But surprisingly, it has a lot to offer. The city, which is one of the oldest in the world, is one of Spain’s major tourist spots but yet even in the heart of its heaving streets there are birds to be found. Join David Lindo, The Urban Birder and Leica Ambassador, on his journey around the city to see the other life that inhabits Málaga. In an exciting experience David Lindo discovers the birds of the city, meets friends and experts and introduces on his journey the diversity of bird life of Málaga and it’s nature reserve. 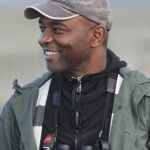 David Lindo takes you along on the top of roofs and on the sea and discovers a Sardinian Warbler, Reed Warbler or Gannets on places where only very few people can imagine birds.